4 What size propane garage heater do I need? 6 What Features Can I expect to Find on a Propane Garage Heater? If you want to find the Best Propane Heater for Garage comfort, there is a lot to consider. 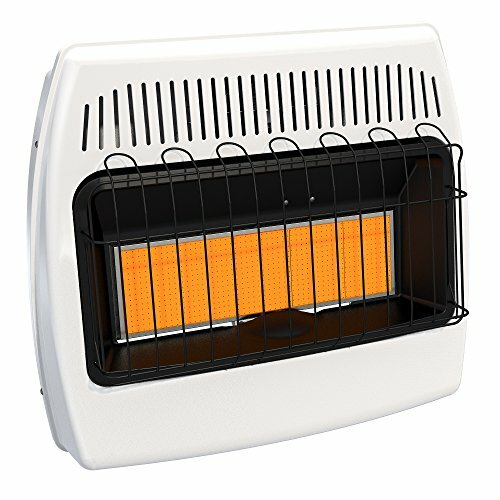 Do you want/need a vented or non-vented heater? Is it a safe garage heater? All these things are worth taking into account to ensure you get something that will suit your space the best. Below we cover all these points, provide tips and suggestion and hopefully cover all you need to know to find the best propane garage heater for your needs. Disclaimer: Propane heaters can be dangerous even fatal if not used correctly. You will always need proper ventilation to ensure safety. Always, ALWAYS read the manufacturer’s safety instructions and follow them to a tee. If you intend to use a propane heater in your garage, ensure it is indoor approved. 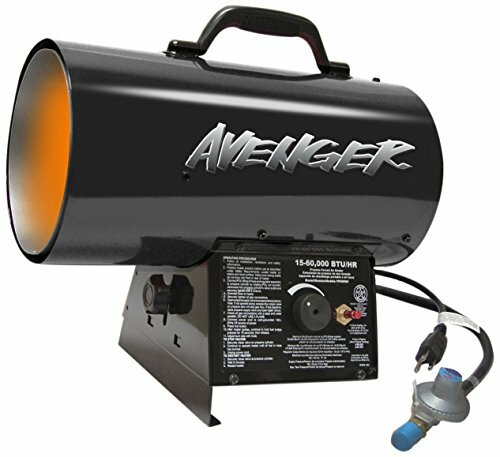 This 60000 BTU forced air heater from Avenger has a lot of things to like about it. This propane garage heater is a torpedo heater and is a convection heater, using a flame and fan to blow warm air out into your garage. It has a variable heat setting meaning that the heat can be tweaked up and down as per your comfort level rather than to fixed levels. It has a convenient carry handle in case you need to move your garage heater around your working space. The ignition is automatic with a push button matchless ignition for easy starting. It is also agency approved for use on combustible flooring. The automatic control system on this unit automatically shuts off if the flame burns out, ensuring a higher level of safety for you in your garage. Like most propane garage heaters it will require ventilation and also regular maintenance. Always check the safety instructions to ensure your own safety. Also, check out our Torpedo Heater guide. This indoor propane garage heater by Dyna Glo utilize radiant heating to help keep you warm in your garage. According to the manufacturer, it can heat a space of up to 1000 sqft which is great for those smaller garage spaces. It also heats up this space with a 99.9% efficiency, which is why propane is a great source of heating, given its high efficiency. Unlike the above torpedo heater which is variable heat, with this unit, there are 3 heat settings, low, medium and high which utilizes 1, 3 and 5 burners respectively. Unfortunately, with this unit there is no thermostat, so you will have to manually control the heat settings yourself. There are also some accessories that can be bought to help make this heater more efficient such as a fan which helps blow the heat out into the room with greater force and also base feet so you can use this as a standing heater rather than a wall mounted unit. Overall for smaller garages, this fan has had very good feedback. The design has not changed for a long time which is a testament to its proven performance. 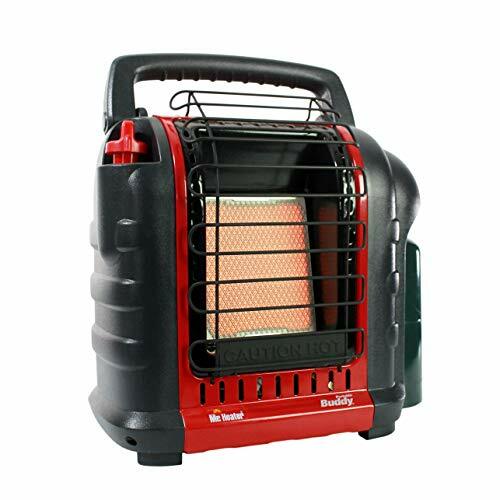 This little Mr heater propane heater is a popular choice given that it is highly portable and small enough to use in locations such as an RV but large enough to heat smaller garages. It comes equipped with a carry handle so you have very little difficulty moving this thing around. The highlights of this particular unit is, like mentioned above the fact that it is very portable. It also has a number of important safety features. It employs radiant heat, so will heat things rather than space quicker, and this particular unit has 2 heat settings – high and low. It also has a Swivel regulator for easy LP cylinder and hose installation. There is a reason this little unit has sold so many products, the durability and efficiency is great and has left a huge number of customers happy. Be aware though, if you have a medium or large garage, this particular unit is not going to get the job done for you. 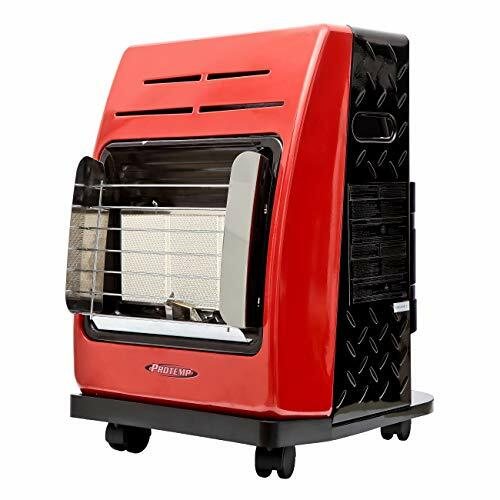 This is a good garage heater for people with smaller garages and who prefer or need something highly portable, which can be used on and off location. 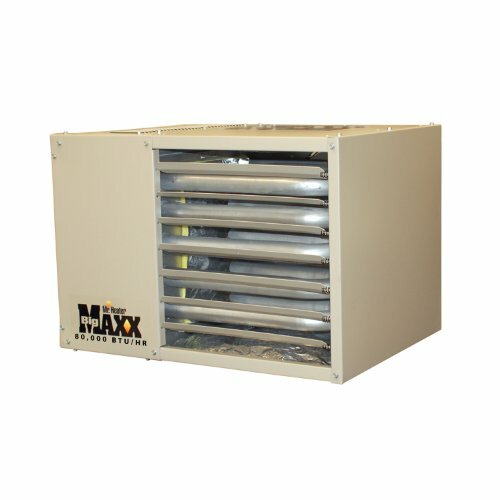 The Mr. Heater F260560 Big Maxx garage heater is a vented heater. This unit actually runs on natural gas, but also comes with a propane converter kit which allows you to use propane as the primary fuel source. The good thing about this garage heater is that it can be vented horizontally or vertically which is not the case for all vented garage heaters. Along with that it also comes with thermostat connects so you can easily hook the unit up to a thermostat, giving you greater control over the temperature in your garage. The only kicker is that this unit does require an electrical connection, albeit only 115V, to power the fan in order to blow the heat around the garage. 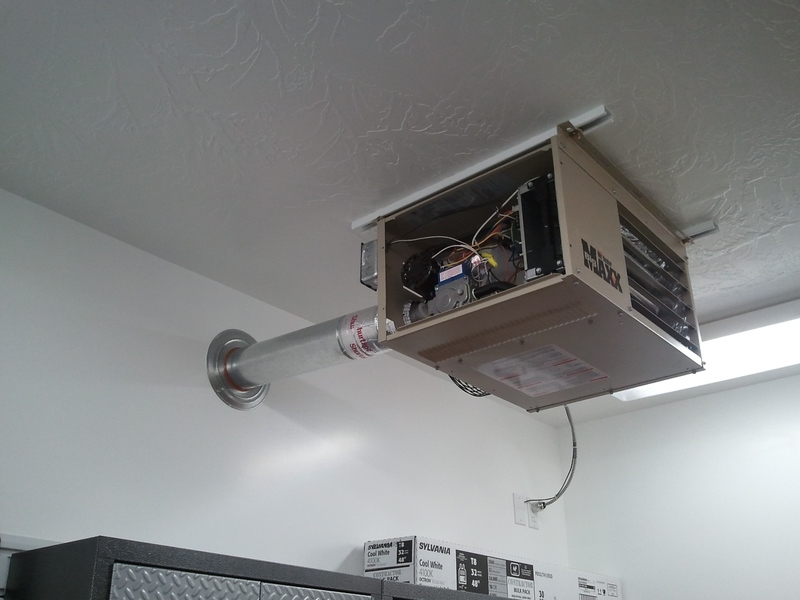 With vented heaters, you will also need to make sure it complies with local building codes. Another specification needed to use this unit is a requirement of a minimum of 8ft from the floor to the bottom of the heater. This particular unit also does not seem to have an automatic safety shutdown. A common accessory purchased with this heater is a compatible thermostat along with a universal gas appliance hookup kit. People looking for something big and permanent in their garage with thermostat control. There are a lot more setup costs but you get a powerful unit and potentially adding value to your home when its time to sell. 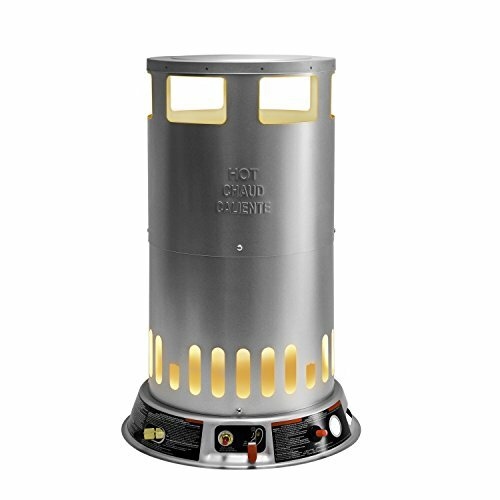 This Pro Temp cabinet heater is another small but effective and popular propane garage heater. it is a radiant heater and can heat up to 450 sq ft. There is a lot to like about this heater. The first thing is the fact it has a variable heat setting rather than high/med/low settings like some other similar heaters have. It has the important oxygen depletion sensor and tip over feature which means it has your safety covered. To add to that this heater is CSA certified, so you can feel a bit more at ease knowing that it has been independently tested and safety approved. The hose and regulator are included and the unit also has rolling wheels so it is easy to move around your garage. Being that it is small it can also be used outside of your garage for example when you go camping or fishing. As these units are not that big they are not going to be suitable to those with bigger garages. This unit would be suitable for people with smaller garages and those that are after something highly portable. Heats up to 4,700 sq.ft. If you prefer convection heat this unit is worth considering. It comes in 3 different variations with BTU from 25,000 up to 200,000 so whatever size your garage is there should be an option for you. Probably the most unique selling point for this propane garage heater is the fact that the heat is dispersed 360 degrees rather than in one particular direction. To some, this is a good thing and others not so much. This unit has an automatic safety shut-off and is also CSA approved so has passed independent safety testing. Those who did not like that preferred being able to direct the heat onto them or in their general direction. Also, these people had issues with the fact the heat generally went straight up more than out, so although the heater heats the space it may not do it in a targeted fashion. Though this was an issue more for those people who were not using it in an enclosed space. It works well at heating a general space but not so well at heating people, so it is not the most efficient for outdoor use when you want the heat on you, but in an enclosed space such as a garage, it does the trick. Before thinking about which is the best propane heater in your garage it is important to know there are a few different types of propane heaters and that they keep things warm with different methods. First, there are forced air heaters or convection heaters. These heaters work by igniting a flame and then pushing the air out through the flame which as it passes through the flame warms up, therefore also warming up space around it. Convection heaters are good for heating up the whole area in an enclosed space and rely on air circulation to keep things warm. For smaller convection heaters you will likely find that they are safer than radiant heaters in that they are cooler to touch and don’t have open elements to touch or get burnt on. There are also large forced air heaters called torpedo heaters which can range from small to commercial grade heaters. Which kind of convection heater is right for you will likely depend on the size of your garage. For a small one car sized garage, a torpedo heater is going to be overkill, however for those larger garages they might be the best thing since sliced bread. Some smaller convection heaters are also able to be wall mounted. 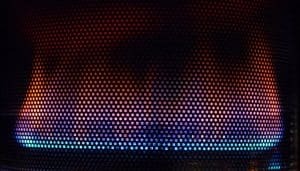 What is a Blue Flame heater? A blue flame heater is effectively just a type of convection heater. 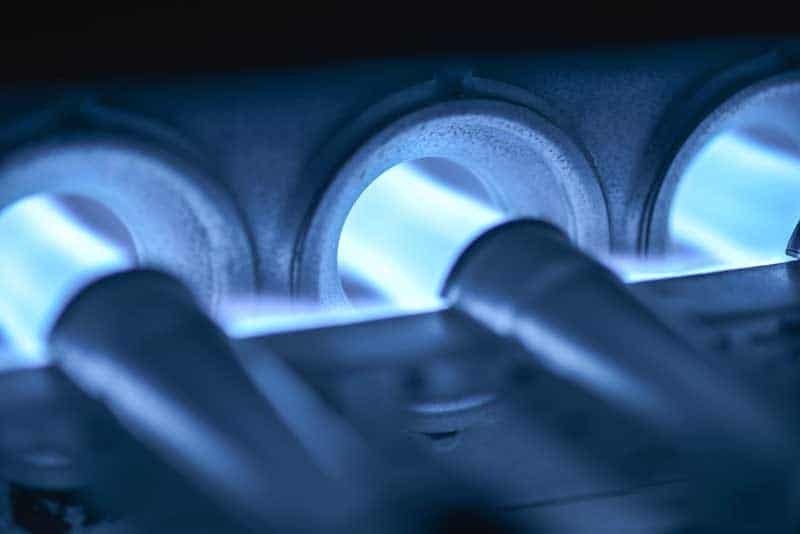 The beauty of some blue flame heaters is that they provide a vent free option to propane gas heating. Often they have glass covers and also come in a number of decorative options such as a fireplace, mantle, and log fire facades, however, most often used inside the house to add to the decor. Another benefit of these heaters is that some of them are able to take multiple fuel sources. Radiant heaters work in a very different way to convection or forced air heaters. Radiant heaters work by heater objects directly, much like the sun, so are great for directly heating an area where you are working in the garage without having to worry about the space you are not using. These kinds of heaters are great for quickly heating things without the wait of warming a room and heat the instant you turn them on. • The heat rises, so warm air can get trapped at the ceiling. This is where a ceiling fan can be useful. • Warm air can be lost quickly if you have to open the garage door. Another factor to take into consideration when choosing a propane garage heater is whether or not you wanted a vented or non-vented unit. Again, each come with their own pros and cons and below we will run through those. When it comes to vented propane garage heaters there are 3 different types you can consider. Keep in mind if you live at altitude, the air is thinner and can sometimes mess with the oxygen depletion sensors on some units. Always ask the manufacturers the questions follow the safety guides. Gravity vented heaters are the low-cost compact design of vented heaters and their name refers to how the unit vents. It uses the air inside the garage for combustion and uses gravity to exhaust the gas outside through the exhaust ducts. Often these are vented through the roof. • There are no combustible dust or fumes in your garage. These propane garage heaters work much the same way as the gravity vented heaters but instead of the reliance on gravity, they have a blower which forces the combustion gasses out the vent. These are a popular choice for vented garage heaters as they offer more options when it comes to the venting because of the fan. They can be vented through walls, rather than through the roof which drastically cuts down costs of any roofing modifications. This type of garage heater is the safest option as it has 2 exhaust pipes, one which uses air from outside the garage for combustion and another when then expels the combustion by-products back outside. This alleviates any risk of using the air inside the garage for combustion as you do not need to worry about dust or fumes that may be lurking inside your garage. For more information on vented heaters see this article. Non-vented propane garage heaters are just that, heaters that do not have a venting system. They will still require adequate ventilation. There are a number of safety features that are absolutely critical when purchasing these indoor heaters and we will run through those features below. Along with that, it is also critical to follow the safety guidelines when using these heaters. Non-vented propane heaters offer a lot more convenience and portability due to the fact they are not vented and also offer a cheaper and quicker heating solution. What size propane garage heater do I need? Doing some simple equations can help you find the best propane garage heater for your requirements. The output of garage heater varies immensely so figuring out which size is best for you can drastically help with either reducing heating costs or purchasing an undersized heater. So how do you find the right size? Find out your temperature rise. You can do this by grabbing the outside temperature and then think about what temperature you want the garage to be. For example, if outside is 30°F and you want the garage temperature to be 60°F then the equation is 60-30=30° temperature rise. Next rate your garage terms of the level of insulation. 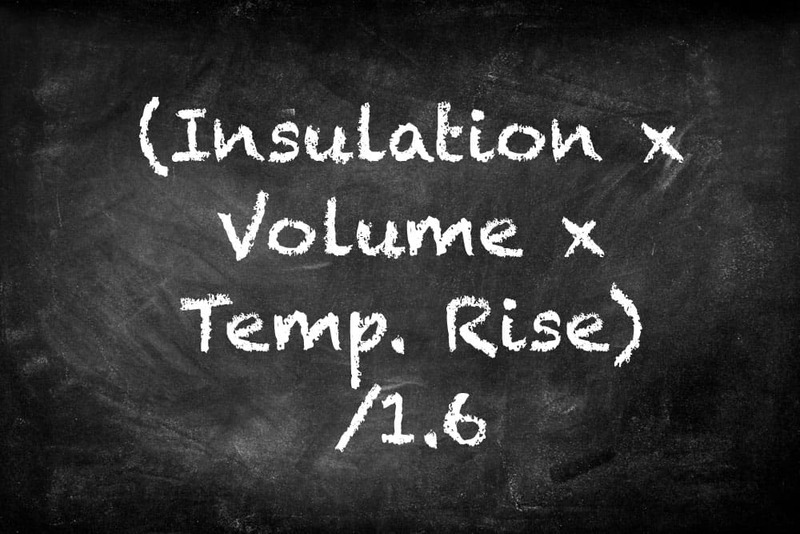 0.5 being heavily insulated, 1 being average, 2 being low and 5 being none. BTU stands for Britsih Thermal Unit. The short version is BTU’s are a measurement which tells you how many BTUs per hour a product can add or remove from the air. BTU being the amount of energy needed to raise 1 pound of water 1 degree at sea level. Most propane garage heaters will have some sort of BTU rating on their products which help you determine their output. For a more in-depth description of BTU’s check out this video. What Features Can I expect to Find on a Propane Garage Heater? We mentioned above there are a number of safety features that are critical for your safety when purchasing a propane heater, along with those there are also a number of other convenient features you may find in some propane heaters. Below we list features you may find on various models of propane garage heaters. One of the most important feature if you are looking for an indoor propane heater for your garage. As you are no doubt aware oxygen depletes and CO2 builds up when using a propane heater. A low oxygen detector is critical in keeping you safe. This feature detects when oxygen in the air is getting low. Combined with the above feature, these are the most important safety features. The ODS feature will automatically shut off the heater if there is not enough oxygen in the air. This will help prevent death by carbon monoxide poisoning. Some of the smaller and portable models will have a tip-over shut-off feature which means if the heater is bumped and falls over, the unit will shut off helping prevent any fires and other safety hazards. At some point, there needs to be ignition. Many propane heaters now provide an automatic ignition switch, or on/off button for ignition making things much more convenient than having to ignite a heater manually. Some models of garage heaters will have a thermostat which gives you a greater level of control of the temperature, along with giving the convenience of being able to set and forget. Some variations of propane heaters also have an overheat shutoff feature. Should the unit get too hot it will automatically turn itself off in order to prevent any fire hazards. There are some propane garage heater products that are capable of being fuelled by multiple fuel sources such as natural gas and propane. We can stress enough how important safety is when dealing with a propane heater. Below are a couple of safety guides which are worth reading and you must always remember to follow the safety directions on the product. Each product is different so keep in mind their safety instructions are likely to be too. This guide and this guide are a good place to start. Look out for products that are CSA certified. This means their products have passed rigorous testing related to safety, efficiency and the environment. Again, look out for products that are UL listed. Like being CSA Certified, UL listed products have undergone a number of, safety, efficiency, quality, and sustainability test along with other various tests. It is super, super important that you are 100% sure whether your propane heater is meant for indoor or outdoor use. Not all outdoor propane heaters are suitable for the indoors and vice versa. The product should have a rating, but if you are unsure always ask the manufacturer to confirm before you purchase. 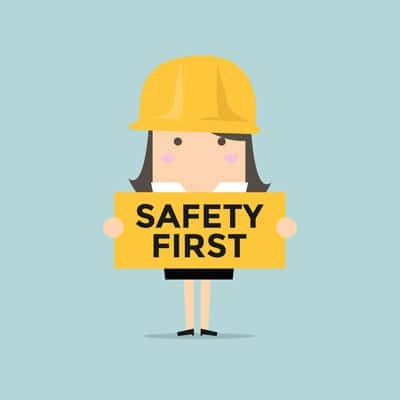 Another important factor that can affect your safety is maintenance. Some heaters may require regular maintenance to stay in good working condition. It is important to keep your heater in top shape to avoid any malfunctions or breakdowns due to lack of care. Having the best garage heater may not mean a whole lot if your garage is letting out all your warm air. There are a number of things you can do to help improve the retention of heat in your garage. Here are a few tips to help keep your garage warm. If you do not have insulation in your garage then you are going to be losing a lot of heat. Unfortunately, insulating your garage is not a quick fix, and a bit of an investment and undertaking so it is not a consideration to take lightly. If you do intend to be in your garage often, however, it may well be worth the investment, Especially when it comes to keeping your garage warm while you work (or play) in winter. Fortunately, there are a number of other benefits that come with insulating your garage. Want to know the other benefits that may come from insulating your garage? Find out on this useful article. Another tip to help keep the heat in is caulking. Seal up the cracks, gaps and joints in your garage to help reduce lost heat and keep your garage a bit warmer. Along with heat retention, there are a few other benefits that come with caulking. Weatherstripping is another great way to help reduce energy costs and retain heat inside your garage. Air leaks are the cause of up to 30-40% of a homes overall heating loss so weather stripping is a quick win for savings. See below for how to weatherstrip a garage. It’s no secret that poor insulation is a huge factor in heat loss and a huge money sink due to extra heating costs. An insulated garage door can help immensely with retaining heat in your garage. Not only that there are also a number of other benefits of insulating your garage door other than heat retention. Propane is an incredibly efficient fuel, according to some, costing nearly half as much per BTU to heat than electricity. Propane has lower carbon content than other fuels so is considered to be a green burning fuel compared to other fuel sources. Propane is very easy to find access to. Most service stations that sell fuel for your car will also have propane tanks for sale. Given propane is used for many common applications such as barbeques you shouldn’t find it too hard to find a supply for your heater. When the power goes out, propane is an excellent choice to ensure you can stay warm. Due to its easy accessibility, low cost and good efficiency, should there be an emergency, or the power gets cut, you can feel comfortable knowing you have an alternate source of heating ready and waiting.